Stick with the base LS. Even the V-6 LTZ model broaches the $30,000 threshold with just a few options. That’s within a few grand (and possibly not much extra per month) of real luxury-brand sedans. If you’re in the market for a comfortable sedan with lots of space at a reasonable price, the 2009 Chevrolet Impala is a practical but not exciting choice. 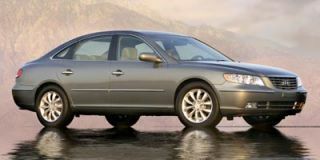 The editors at TheCarConnection.com have driven the Impala and incorporated their opinions of the sedan into the overall impression. To pull together this exhaustive review of the Chevrolet Impala, our car experts also looked to many different review sources to bring you the best information. The Impala is the large, front-wheel-drive sedan in Chevrolet’s lineup; it offers a very roomy interior and good ride but isn’t completely up to the standards of handling or refinement that some shoppers have come to expect. The Impala is available with two engine configurations; the standard 3.5-liter V-6 can be found in base models, while the SS continues to come with a 5.3-liter V-8 producing 303 horsepower. All engines are mated to a four-speed automatic transmission. The 3.5- and 3.9-liter V-6 engines powering the standard Impala are smooth when cruising but coarse under acceleration. Both engines provide enough authority for most buyers' needs, but the 3.9-liter offers noticeably more torque off the line, which may be more useful with a full load. The SS's 5.3-liter V-8 transforms the Impala to a more sophisticated performance sedan—capable of reaching 60 mph in well under six seconds—with an ever-torquey character and responsiveness at any speed. The only downside is that torque steer (a pull to the side) can be an issue coming fast out of tight corners. 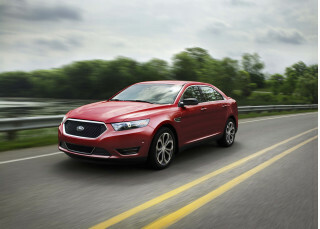 All three engines run smoothly through four-speed automatic transmissions. To aid fuel economy, the V-8 has GM's Active Fuel Management system to produce figures almost as good as those for the V-6. 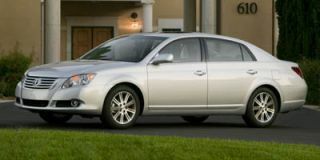 Unique styling isn’t the 2009 Chevrolet Impala’s strong point, but the vehicle does offer lots of comfort and a large, accommodating passenger cabin with a configuration that’s more useful than that of many other sedans. The backseat has ample headroom and legroom, along with a flip-and-fold rear seat that allows access to a covered storage area. The Impala’s front seats are soft and cushy but lack support during long trips. The instrument panel is cleanly designed; the interior trim feels plain and a bit behind the curve in styling and materials, but it does the job. The Impala's ride definitely skews toward comfort, but the tighter tuning of the SS model's FE3 suspension, and the FE1 suspension that's included with the 3.9-liter engine, brings crisp handling without much of a ride sacrifice. The interior of the 2009 Chevrolet Impala is quite hushed and well isolated from road noise. The Impala is neither at the top or bottom of its class for crash-test protection, with five-star frontal ratings and a mix of four- and five-star ratings in side protection from the federal government, plus an "acceptable" frontal rating, a "good" side-impact rating, and a "marginal" rear-impact rating. Impalas are fitted with safety equipment, including anti-lock brakes, stability control, and side curtain airbags, all for an affordable price. 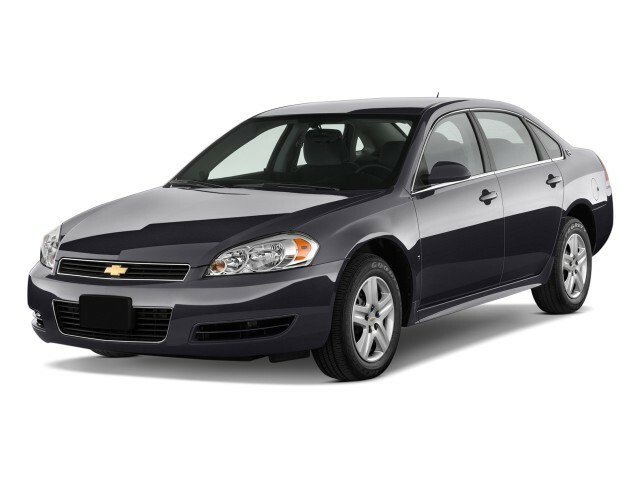 With regard to safety features, the 2009 Chevrolet Impala is strictly middle-of-the-road. Thorax side-impact airbags and anti-lock brakes are now standard across the line, but electronic stability control (StabiliTrak) isn’t available with the more economical 3.5-liter engine. The 2009 Chevrolet Impala LS comes with keyless entry, cruise control, air conditioning, and a CD sound system. Bluetooth cell phone connectivity is now also standard on the entire model line. The LT model is next up and adds more popular comfort and convenience equipment. The top LTZ comes with many of the same features as the LT, plus dual-zone climate control, upgraded Bose speakers, and an alarm system. The LTZ also gets a standard FE3 suspension package. Almost all versions get more attractive new wheels for 2009: 17-inchers on some LTs and 18-inchers on LTZ and SS models. XM Satellite Radio and OnStar turn-by-turn navigation are standard on all models for 2009, but a screen-based navigation system is not offered. The styling of the 2009 Chevrolet Impala is uninspired in every way. Most reviewers agree that the styling of the 2009 Chevrolet Impala lacks inspiration. Edmunds says the Impala received a “classy exterior freshening” a few years ago, discarding the “old electric-stove taillamps that looked more GE than GM.” The Impala’s "anonymous styling," as Car and Driver calls it, might have been overlooked in recent years. Today, though, sedans like the Honda Accord, the Ford Fusion, and Chevrolet’s own Malibu have set a new standard for family sedans—one the Impala can’t match. That said, the generous headlights that sweep back along the sides of the hood, along with its unique twin grille openings, lend the Impala a hint of modernity. For a bit more visual excitement, there’s an SS version; Kelley Blue Book says this model sports a rear spoiler and five-spoke aluminum wheel covers for those who appreciate a racier appearance. Cars.com notes the SS "exhibits a distinct front-end look, led by a dual-split grille that contains a black-diamond crosshatch pattern." Edmunds describes the interior of the Impala as "functional and straightforward," with "all the visual pizzazz of The Wall Street Journal." Car and Driver says the "overall look is pleasing enough, with a dark gray upper and lighter lower dash separated by faux wood, and the control layout is wonderfully simple and logical," but adds that "the featureless black plastic on the center stack and instrument cluster is almost insulting." Cars.com reports "nuance sandstone leather seating with French seams on the center cushions." 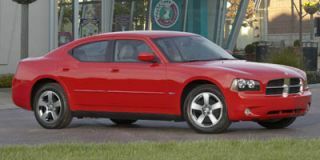 On all but the sprightlier SS version of the 2009 Chevrolet Impala, expect overall competence but not much more. The SS version of the Chevy Impala offers plenty of drag-strip acceleration, while the other Impala models are in need of better overall performance. The 3.5- and 3.9-liter V-6 engines powering the standard Impala are smooth when cruising but coarse under acceleration. Both engines provide enough authority for most buyers' needs, but the 3.9-liter offers noticeably more torque off the line, which may be more useful with a full load. Car and Driver says "the idea of the base 211-hp, 3.5-liter V-6 would drop our eyelids, [but] the 3.9-liter V-6 is not a bad choice in this car ... it feels strong, even at higher rpm and speed, and never sounds labored," adding that its "233 horsepower is enough to giddyap to 60 mph in 7.4 seconds." Edmunds proclaims it’s “plenty powerful.” ConsumerGuide notes that "3.5 and 3.9-liter V6s provide similar acceleration in around-town driving, but the 3.9 has better passing response in the 35-55-mph range." All Impala engines are capable of running on E85 ethanol fuel. The SS's 5.3-liter V-8 transforms the Impala to a more sophisticated performance sedan—capable of reaching 60 mph in well under six seconds—with an ever-torquey character and responsiveness at any speed. The only downside is that torque steer (a pull to the side) can be an issue coming fast out of tight corners. In comparison to the larger V-6, the V-8 propelled the Impala SS from 0-60 in just 6.5 seconds, and ran the quarter-mile in 14.5 seconds, offering what Edmunds deems "serious thrust." ConsumerGuide notes the "SS's V-8 furnishes ample power at any speed." "A four-speed automatic is standard on all Impalas," says Car and Driver, and Cars.com tells us it "works with all three engines." Edmunds notes, “All models employ front-wheel drive and a responsive four-speed automatic transmission.” Many competitors offer six-speed automatics in the class. ConsumerGuide tests find that "an LT 3.5 averaged 24.2 mpg on conventional gasoline in mostly highway driving," which drops significantly using E85. They also report that "an SS averaged 20.3 mpg in mostly highway driving." Edmunds cautions that though the SS “may be tempting to power-hungry buyers, be forewarned that sampling its formidable reserves quickly brings fuel mileage down to the high teens, with official 2009 EPA ratings of 16 city and 24 highway.” The 3.9-liter V-6 uses Active Fuel Management technology to shut down one bank of cylinders when coasting or cruising at freeway speeds, which "increases gas mileage by as much as eight percent," according to Cars.com; the same technology shows up on the V-8 as well. ConsumerGuide reports the Impala is "stable with good steering feel," especially the SS model, adding "stopping control is good." Edmunds feels the "cushy suspension hurts handling dynamics.” According to Car and Driver, "the Impala soaks up bumps well" when traveling in a straight line, but "once the road starts to wind, the Impala dips, leans, and squats as though the road were one big yoga mat." Kelley Blue Book notes "the top-level Impala SS has a suspension firm enough to encourage enthusiastic driving on curvier public roads." It’s a “forgettable driving experience” in all but the SS versions, Car and Driver concludes. The Impala's ride definitely skews toward comfort, but the tighter tuning of the SS model's FE3 suspension—and the FE1 suspension that's included with the 3.9-liter engine—brings crisp handling without much of a ride sacrifice. The cabin of the 2009 Chevrolet Impala isn’t the most refined place to sit, but it’s roomy and comfortable. The 2009 Chevrolet Impala seats up to six adults in reasonable comfort, though materials are still not up to the levels seen in a Honda Accord. Cars.com reports "firmer cushions and increased lumbar support" in the SS. Edmunds feels “occupants will find hip and shoulder room plentiful, but legroom is mediocre for a car of this size.” Car and Driver compares the front seats with their "favorite recliner," but says "the slightest hint of aggression will rock you out of your comfort zone." ConsumerGuide reports that the 2009 Impala’s "trunk is roomy, with a usefully flat floor," but "an oddly shaped opening hampers loading bulky objects"; in addition, they note "cabin storage is merely adequate." Cars.com states "trunk space totals 18.6 cubic feet." Edmunds says "the Impala's interior is a huge improvement over its predecessor and a nice enough place to spend time, but competitors score higher style and quality points." The wide-open spaces inside are styled and finished better than in the previous Impala, but the Chevy sedan still runs behind the class leaders. Car and Driver is not particularly impressed with the interior materials and assembly, especially when it comes to driver controls: "Although the redesign for 2005 greatly improved the interior, the Impala’s cabin materials still pale next to those of the Honda Accord, Toyota Avalon, and Hyundai Azera." ConsumerGuide expresses similar sentiments: "cabin materials are serviceable, but Impala trails most like-priced rivals for quality feel ... hard plastic expanses dominate the cabin, giving it a budget look and feel." 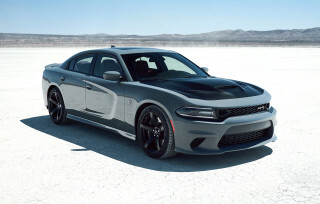 ConsumerGuide feels "wind rush and tire roar both intrude slightly ... in rapid acceleration, the V-6s emit prominent growl," while "the V-8 is subdued at cruise but has muscle-car rumble under throttle." In both 2009 Chevrolet Impala V-6 models especially, the interior is quite hushed and well isolated from road noise. Safety isn’t good reason to choose the Impala over another mid-size sedan. The 2009 Chevrolet Impala receives strong, if not stellar, marks for safety. Anti-lock brakes are newly standard on the mid-size Impala, as are thorax side-impact airbags. Dual front and side-impact airbags and OnStar emergency monitoring services also remain among the standard features. Every one of these Chevrolet 2009 vehicles includes child-safety seat attachments for the backseats. The crash tests conducted by the National Highway Traffic Safety Administration resulted in the Impala Chevrolet getting five stars for front-occupant safety in head-on and side impacts for models equipped with side airbags. Rear seat occupants fared slightly worse in this respect; NHTSA awarded the Impala Chevrolet four out of five stars here. The Insurance Institute for Highway Safety (IIHS) was less impressed with this Chevrolet 2009 model. In frontal offset crash testing, the Impala was given an "acceptable" rating, while side impact ratings were "good." Nearly all the cars that people cross-shop with the Impala—like the Ford Taurus, Honda Accord, and Nissan Altima—offer the technology features the 2009 Chevrolet Impala is missing. The list of optional high-tech gadgets on the 2009 Chevrolet Impala are minimal, but the car has an adequate assortment of standard equipment. Four Impala trim levels are offered: LS, LT, LTZ, and SS. According to Edmunds, the Impala comes in four trim levels (LS, LT, LTZ, and SS) and has power features, including air conditioning, tilt steering, a power driver seat, a CD player with an MP3-player input, and keyless entry. LT versions get remote start and dual-zone climate control, while the LTZ adds a tauter suspension, leather bucket seats, and a Bose audio system. The SS edition picks up a spoiler and special 18-inch wheels. For those Impala Chevrolet passengers wishing to work on a laptop during extended road trips, Car and Driver reports that one will find "three power points" in the Impala Chevrolet cabin; "two are tucked out of sight at the base of the center stack in the bottom of a deep storage tray, and a third is in the center console, so you can power the cell-phone charger, the radar detector, and the iPod." Kelley Blue Book points out "clever features, such as the auxiliary audio input jack, go a long way toward satisfying the kids on long trips." Unavailable on the Impala are a DVD- or hard-drive-based navigation system, a panoramic sunroof, all-wheel drive, and some other features found in the class leaders. 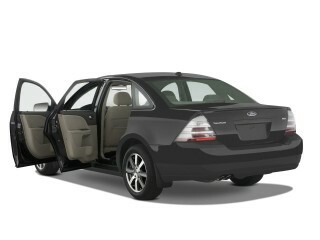 Available options include anti-lock brakes for the base car, satellite radio, leather seats, a CD changer, and a sunroof. "A new luxury package on 1LT trims combines popular options into one package," according to Cars.com; these include "leather-trimmed interior, antilock brakes, traction control, a rear spoiler and GM's OnStar communication system with Turn-By-Turn navigation." This was a great buy and has served us well for years. 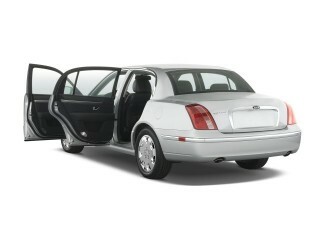 I would recommend this car to anyone who wants a balance between luxury and economy.